A young girl fell two stories from an interior deck on a Carnival Glory cruise ship while it was docked at PortMiami. The young girl’s injuries were so severe that she lost her life as a result of the fall, according to The Chicago Tribune. Unfortunately, serious accidents occur far more often than you may realize in cruise ships. For example, the Department of Transportation reported more than two dozen injuries and incidents on cruise lines, including a missing person and close to 20 cases of sexual assault. Under state and federal law, cruise ships are categorized as “common carriers.” This means they have a heightened duty of care in making sure their passengers are safe. As a result, when a cruise ship breaches this heightened duty of care and a passenger suffers a serious injury, the cruise line can be held liable for the passenger’s harms and losses. A third party contractor that inflicted harm on a passenger, or passengers. Properly filing a cruise ship injury claim can get complicated very quickly. This is because cruise ships are governed by state, federal, and maritime law. There may be multiple investigations into a particular incident from different authorities including local police, the Coast Guard, etc. In addition to the complex web of state, federal, and international laws that may come into play, it is important to understand that the terms and conditions on your passenger ticket will likely influence the viability of your claim. For example, many courts have construed the terms on your passenger ticket as a contract between you and the cruise ship carrier. 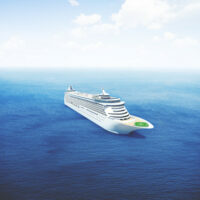 As a result, courts have accepted the change in legal venue and the drastically shortened period of time in which a passenger can file a civil claim against the cruise line. To be sure, some cruise lines dictate that a lawsuit may only be filed in specific jurisdictions such as Florida or California. Other cruise lines have required suits be filed in foreign countries like Italy. This is why it is so important to hire a Miami cruise ship injury lawyer who is experienced in this area of law. If you or a family member is injured while on a cruise ship, our law firm is ready and willing to fight for you and pursue maximum compensation. As mentioned, the terms of your passenger ticket will play a large role in determining your legal rights, but a trend among the cruise lines is to limit the amount of time an injured passenger has to file a claim to just a few months. This is why swift action is so important. Contact the Miami wrongful death lawyers at the office of Alan Goldfarb, P.A. today to schedule a free consultation.